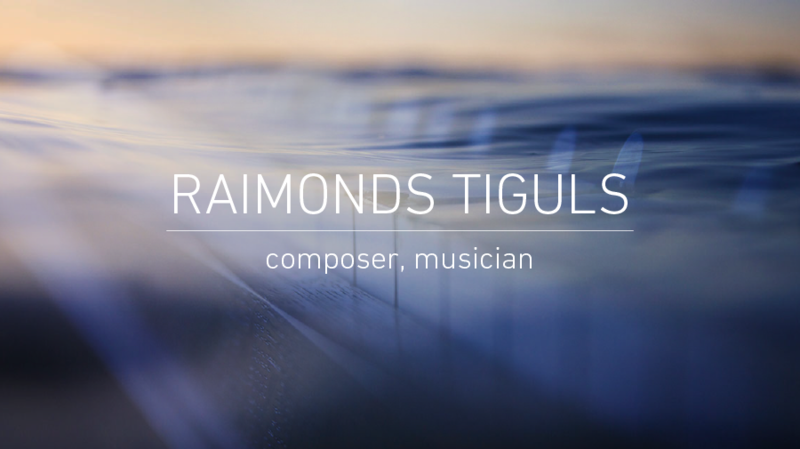 Raimonds Tiguls /1972/ is Latvian composer, musician, author and producer of many cd’s released worldwide. He became known in 1999 as a representative of ambient and electronic music. The International attention he has gained for his albums “Moonlight Sound Design” and “De Angelis”, released by the Latvian label UPE, and rereleased by the German record label ZYX Music, and, from 2000 to 2007, music from the albums was featured on more than 20 music collections in Germany, Switzerland and Benelux countries. In 2011, he released the project “Islands” together with singers from Iceland and Gotland. For ordering the score for your choir, please click here!